Singapore has once again fallen off the wagon for workplace safety, and the fatality rate is set to rise further this year, warned Manpower Minister Lim Swee Say. Speaking yesterday at the Workplace Safety and Health (WSH) conference, he said 48 lives had been lost at work so far this year, and some companies have even set aside a budget for fines because they think safety infringements are unavoidable. 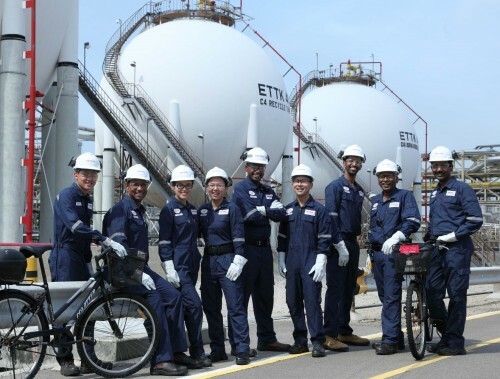 Singapore managed to bring down the fatality rate from 2.8 per 100,000 workers in 2008 to 1.8 in 2014, but it crept up to 1.9 last year and is projected to hit 2.2 this year, said Mr Lim. It last surpassed such levels in 2013, when the fatality rate was 2.3 and 73 people died at work. The two-day conference, which closes today, was attended by more than 1,000 WSH experts and employers at Suntec Singapore Convention and Exhibition Centre. The construction industry, in particular, was responsible for 40 per cent of deaths this year, as companies buffeted by the slowing economy try to cut costs. A new study by the WSH Institute (WSHI) of 33 construction deaths between June last year and this May showed that the bulk of them were due to unsafe behaviour by workers and inadequate risk control measures by companies. 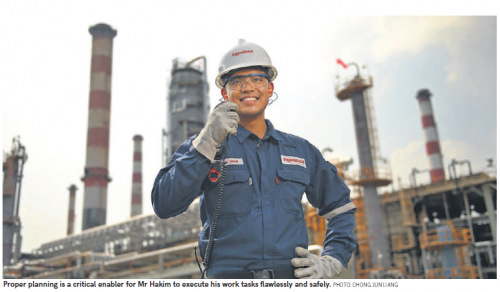 Mr Lim noted that nine in 10 deaths occurred because workers overlooked safety issues. They could have taken shortcuts, such as not wearing protective gear, or used equipment they were not authorised to operate. But 87 per cent of the companies involved also failed to manage risks properly. Some, for instance, treated risk assessments purely as a paper exercise, conducting them only after the actual work was done. Others failed to provide lifelines for workers' safety harnesses. Said Mr Lim: "Some companies have also accepted WSH infringements as unavoidable. They set aside 'safety budgets' to cover the enforcement fines." Singapore Institution of Safety Officers president Bernard Soh said this practice is mostly found among small firms. They would rather set aside $10,000 to $20,000 to cover fines, than invest substantially more in a safety system that could cost up to 15 per cent of their contract's value. Employers said the tight labour market and a dearth of projects have them in a bind when they bid for contracts. Mr Eric Soh, chief executive of major construction firm Samwoh Corporation, said: "If you don't put in the appropriate safety measures, you risk lives. But if you put them in, it costs more and maybe you don't get the job." He suggested that developers be open to "more realistic" contract periods, so that contractors are less rushed to meet deadlines. 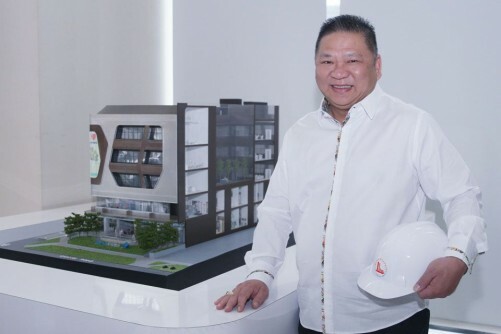 Wee Chwee Huat Scaffolding and Construction managing director Edward Wee said cultural differences and language barriers make it hard to convey the importance of safety to foreign workers. He said: "You have to use pictures instead of just talking to them. Otherwise, they will say they understand, but inside (them) it's blank." 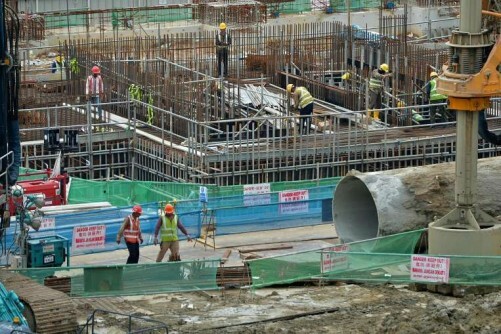 Mr Lim said the Government could incorporate more safety considerations into public construction tenders. "This will spur private developers to do the same." But Ms Debbie Fordyce, executive committee member of migrant worker advocacy group Transient Workers Count Too, said top-down efforts are not enough if workers themselves are afraid to voice concerns. She recalled the case of a worker who fell from the unsecured edge of a building in January last year with another colleague. They had been told to work there, even though there was no barricade installed. He broke his arm, leg and pelvis, while his colleague died. She said: "We need to get rid of recruitment fees that keep workers in debt and in fear. Who would tell the boss to do things differently if he could be repatriated any time?"